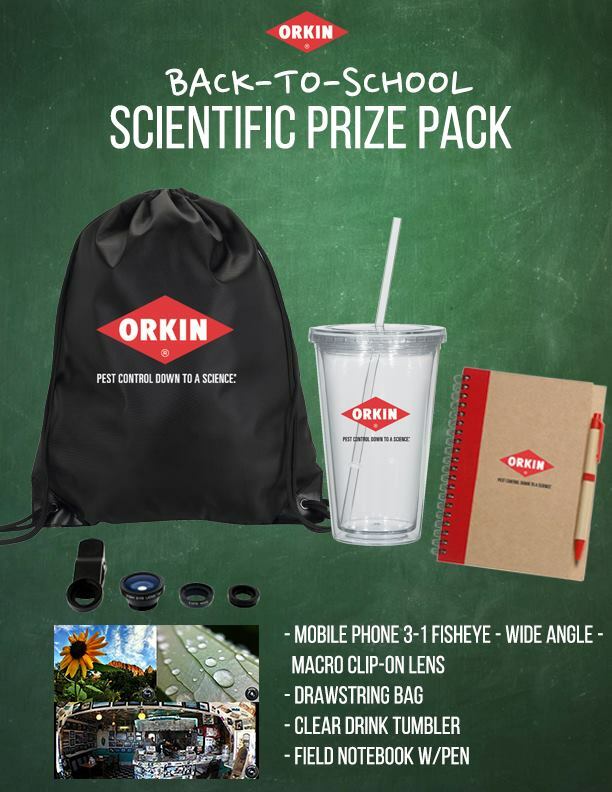 Orkin Scientific Back to School Prize Pack Giveaway | A Savings WOW! I love this weather, but I am not a fan of the bugs that come with it! Orkin is back with their awesome Scientific Fact or Scientific Fake series of famous bug myths! You’ve heard the myths about bugs before, now it’s time to debunk them. Take the Scientific Fact or Scientific Fake Quiz to test your knowledge!. Watch every episode of Scientific Fact or Scientific Fake and find out the answers to these age-old bug myths. Welcome to the Orkin Scientific Back to School Prize Pack Giveaway! Hosted by: It’s Free At Last and sponsored by: Orkin! Orkin uses the latest technology and unparalleled training to develop a treatment that’s right for your home and your needs. To learn more about pest control that’s based in science or to schedule an inspection, visit Orkin.com or call (844) 503-8251. Ask the Orkin Man! The giveaway is open to US residents, ages 18+ (limit entry to one per household). The giveaway ends 09/09/14. Enter using the Rafflecopter form below. Good Luck! Disclosure: Each household is only eligible to win One (1) Orkin Fact or Fake School Pack via blog reviews and giveaways. Only one entrant per mailing address per giveaway. If you have won the same prize on another blog, you will not be eligible to win it again. Winner is subject to eligibility verification. i got 2 out of 5 right which doesnt surprise me since i hate bugs! I’m right with you there – I love the warm weather, but hate the bugs that come with it!